More houses are going green, or eco friendly. When I say green house, I don’t mean the greenhouses or hot houses made of glass to grow various things at all times of the year. You know, the kind made of glass that were very common in the 60’s and 70’s, like when I was growing up. There was a series of these right next to a base ball field where our group of neighborhood friends used to play, in deep right field, and in foul territory. We called it Fred’s field, and the field and the greenhouses were owned by Fred, thus the name. Green houses are healthier for your family also. If you got hold of one and hit it to the opposite field, my being a right handed hitter primarily, it could hit the glass either on the fly or on a bounce, and occasionally break the glass. Search for government foreclosures, bank foreclosures, and pre foreclosures. Find huge savings on homes, cars, boats, jewelry, and electronics. I am quite sure that ol’ Fred, the owner of the green house didn’t like us much due to our causing him more work and expense to replace the broken glass, but he said little to us to make us stop. No, I mean a green house that is eco friendly, and environmentally conscious. Seems like everything is going green today, and that includes how homes are built, and how homes are treated once they are built. It also includes how many things are treated inside the house that have also eco friendly effects. If you have been thinking of buying a home, or are currently in the market for a home, you may want to consider going green. Although there are few 100% green homes available to buy on the real estate market, it is very possible to find a home with green elements to it, and, you may even want to consider building a green home. More and more homeowners are adding green house elements to their homes, and the amount of home buyers building green homes has increased substantially in the last 6 to 8 years. These numbers continue to increase each year. Due to these increasing numbers of buyers going green, there are now a good deal of options available to new home buyers that want to have reduced energy costs, lower the environmental impact of their home, and improve their home’s quality, and value. The lower costs of technology, and materials related to the growing green housing market, now make the option of purchasing a green house, more and more practical for a larger number of people. There are currently many home builders that specialize in building green, environmentally conscious homes, and some builders exclusively build these types of homes. Even home builders that don’t specialize in building green homes, are beginning to provide green home options for their customers. Check in your local area for green builders, and be sure to talk to a few of their customers before you decide to use them. You may even find green building products, and green technology right in your own cities’ home store or hardware store. Here are some ways you can take advantage of for your new or existing home to go green. Use sustainable building materials such as bamboo floors. Sustainable building materials can be used for the frame, roof, flooring, decks, and other surfaces, and structures, and lower the impact of your home build on the environment. When a wood supplier is picked that uses sustainable planting procedures called silviculture, it is a renewable resource. The EPA, Environmental Protection Agency, has contacts of suppliers that follow these practices. Certain types of sustainable flooring materials that provide good insulation, give you good climate control, and have the environmental friendliness that is needed are bamboo, linoleum, and cork. You could also utilize recycled building materials such as recycled glass, recycled plastic, or reclaimed lumber. You can save money and help save the environment with a smaller house. There is a trend today to make use of smaller homes and spaces. I’m sure you have seen some of the tiny houses that are being built, on some of the real estate type channels like HGTV. Personally, I am not a fan of the tiny house, at least as a primary residence, but I could certainly make do with a tiny house as a weekend, or another temporary kind of residence. But the idea of going smaller from an environmental responsibility standpoint is a very good one. Less is more, as you will have less space to heat, and cool, less materials needed to build, less negative emissions into the atmosphere, and less house to maintain. Many people nowadays are looking to go smaller as a result of the empty nest syndrome of their kids moving out for college or work, or just to have less home to take care of and pay for. Oftentimes too, there are areas of homes that are seldom, if ever used, so why build a home that is larger than what is really needed. You may be able to be just fine with a smaller living space. Many homes are going to solar today. Solar energy derived from the sun, has been around for many years. It’s technology has improved, but it still has some drawbacks for many consumers. Solar is a clean technology, and is good for the environment, but it can be expensive to purchase the needed solar equipment, and it can be expensive to maintain. The upfront costs will likely disappear after years of use in cost savings, but if you move in a few years after you buy it, you may not recoup your costs in the resale of your home. It is very possible to qualify for incentives, grants, and tax breaks by having a solar powered home. There are also some utility companies that will purchase the excess energy that solar power can generate. Check with your local provider to see what they may be willing to do. Rainwater harvesting systems can supply some of your household water needs. Utilizing rain water for your household water needs will not be an option if you live in Los Angeles or Phoenix, but it could well be an option for most other parts of the US of A.
Rainwater harvesting systems can be installed when building your green home, or added to an existing home. Rain water is primarily collected from roofs, and stored in a receptacle tank, or barrel. The most common uses for rain water is in plumbing systems, and for sprinkler systems. Tankless water heaters save money, energy, and space. Tankless or On Demand Water Heaters, heat water as it passes through a heating element. This technology has been around for the last 25 years or so, but has become much more commonly used in the last 10 or so years. The biggest environmental benefit with tankless, or on demand, is that less water is used, as a result of only the water needed is heated. When using a tank water system, a large amount of water is heated, and much of it may never be used. It is very energy efficient to use the tankless water system. There is also space savings as no water tank is needed, and fewer pipes, vents, drains, etc. Other household water saving devices or appliances are: water saving washing machines, dishwashers, toilets, faucets, and shower heads. These items are usually close to the same price as their non water saving brethren, and can save you some money in the long term, as well as less energy usage, which is good for the environment. Programmable thermostats can save you 50% or more on your energy bills. If you are like me, you like the temperature in the house cooler at night, and somewhat warmer during the day. It also makes sense to not excessively heat or cool your house while you are at work, or away from the home for extended periods of time for any other reason. With a programmable thermostat, you can set the times you want the house to be whatever temperature you like. This can save you a lot of money in utility costs, and keep you from wasting large amounts of energy, which of course, benefits the environment. Other ways you can save energy around the home are: Making sure your ductwork is clean on the inside, straight, connected properly, and air tight. If you feel air leaking from the duct work, seal it with duct tape. Check windows and doors for air leakage. Use caulk, and weather stripping to seal, and winterize against any escaping heat, or air conditioning. Use ventilating fans only as needed. Leaving them on for long periods can pull a tremendous amount of needed hot or cold air from the home. Keep garage doors closed. This is a good idea not only from a security standpoint, but open garage doors can cause a vacuum effect, and pull hot or cold air out of the house and into the great outdoors, which does zero good. Consider putting on a hoodie, or your favorite pair of sweatpants when hanging around the house in the winter. Since we lose 90% of our body heat through the top of our heads, adding a cap or a hood could prevent you from raising that thermostat in the winter, and save you money, and energy in the process. Use a portable heater. If you find that you and your family spend most of your time in one or two rooms of the house, why not use a portable heater to heat just that room. You can also close the vents in the rooms of your green house you don’t use, and this will force more of the heated or cooled air into the rooms you have the ducts open. This will require less energy to heat or cool those rooms, saving you dollars, and helping the environment. Geothermal uses energy from the earth to heat and cool your home. Geothermal energy is more expensive initially, but provides cost savings down the road. Geothermal uses energy from the earth to heat and cool your home by using an underground loop system that draws heat in the winter, and pulls heat from the air in the summer. For more green house ideas, go to the EPA, Environmental Protection Agency website, or use the search engines. I have always wanted an on demand water heater. I never looked at the water savings. I always thought less room and hot water on demand was for me. Do you know any good ones or how much they run? I also always wanted solar power. I know the savings in the long run will pay for it, you can also sell back to the power company. I just havent taken the plunge because the upfront costs. 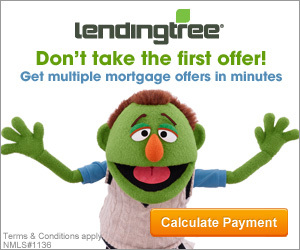 It is good to know lenders want to help with this. It may be in my future. Hi Malachi, thank you for your comments. EcoSmart, and Rheem are two trusted brands. On demand tankless water heaters start at around $200 USD and go up from there. Good for you for wanting to take a proactive approach to alternative energy. Thanks for the information on going green. Contacting local utility companies for grants is a great idea. It’s so important to appreciate our resources and use them wisely.